Let’s flip Virginia for the ERA! Help us call DA Virginia Voters --Only 1 Vote Will Flip the State Legislature! 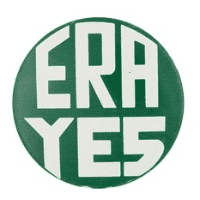 Just a few weeks ago, Republicans stopped the Equal Rights Amendment in the Virginia Legislature by a single vote! We were devastated, but not defeated! Democrats lost control of the VA House of Delegates in the last election by a single vote--the deciding seat was tied and Republicans won it on a COIN TOSS! If we'd had one more voter in that final district the delegate would have been a Dem and we'd have had a legislative majority and, with one more vote, VA would have ratified the ERA. So now we’re getting ready to take back Virginia! The entire VA state legislature up for election in November and the primary deadlines are coming up! 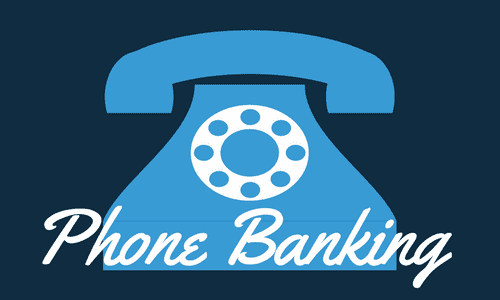 We’ve just set up new global phone banking campaigns to reach out to DA voters in Virginia where the 2019 state elections will decide the majority in both the House of Delegates and the VA State Senate. Let’s ensure a majority in the VA legislature and ratify the ERA! Sign up here to be on our phone banking team and join the Campaign for Virginia! Because Our Rights are too important for a coin toss! In June, Books Abroad will step back into a historical piece of feminism, Kate Chopin’s The Awakening. First published in 1899, this novel presents the intellectual and sexual awakening of Edna Pontellier, an affluent, married white woman with two children. After years of succumbing to the limited social expectations for women, Edna expresses a profound dissatisfaction with her life and begins to defy those boundaries. Sixty years after The Awakening was published, Betty Friedan famously called the feeling Edna describes as "the problem that has no name." Despite the turn-of-the-century setting in the Louisiana coast, it doesn’t take much imagination to see the unfortunate and stark resemblances between Edna’s cultural context and that of the feminist awakenings in the 1960s and our current cultural moment. As Barbara Kingsolver writes in her review in The Guardian, “I wish I could declare The Awakening a period piece, but Chopin's social analysis still hits its mark.” Chopin’s novel asks the uncomfortable question: How does a capacious, sapient human reconcile her existence with a world that pervasively tells her: you are less. We’re still asking this question. We invite you to join the Books Abroad international feminist reading group on Sunday, June 9 at 7:30 a.m. EDT ( 1:30 p.m. CET) for a discussion about this landmark piece of literary fiction. Please note: This global WebEx is scheduled on Washington DC time. Make sure to check your own time zone. 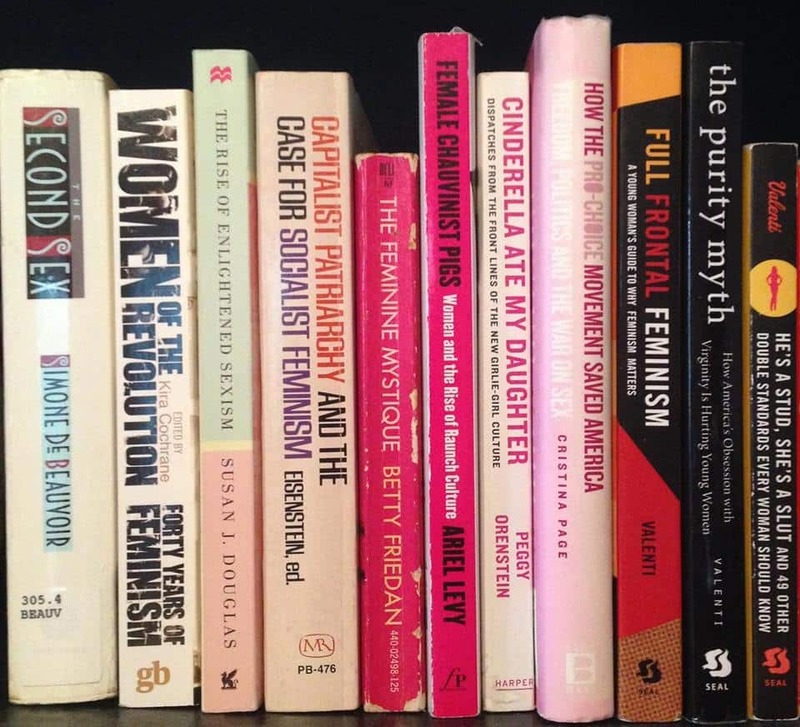 Books Abroad brings readers across the globe together to discuss works of feminist literature and their relevance to current events in the United States. We meet via WebEx roughly once every three months. So far, this group has read Alison Bechdel’s Fun Home, Rebecca Solnit’s The Mother of All Questions, and Roxane Gay’s Not That Bad. We look forward to our upcoming discussion and welcome suggestions for future readings. Today as we celebrate International Women’s Day, let us remember the great women in history whose shoulders we stand on. Let us celebrate their achievements and acknowledge the sacrifices they made to get us where we are today. This has indeed been a historic year for women. We have elected a record number of women to Congress and we have more women of color serving in office than ever before! But this can only be a beginning. Massive inequalities still remain. Women in the United States of America do not even have basic equality with men written into our constitution. So let us honor the great women who came before us by pushing forward on passage of the Equal Rights Amendment. And let us vow to never give up until our daughters have exactly the same rights, opportunities, and status as our sons! WASHINGTON, January 24, 2019 – Democrats Abroad, the largest organization for Americans living overseas, fully supports the Equal Rights Amendment (ERA) and is calling on state legislatures across the U.S. to move toward its ratification. The action comes just days after a subcommittee in the Virginia House of Delegates rejected the ERA proposal, and after the weekend of the Women’s March, which saw advocates across the country and around the world rally in support of the ERA and gender equality. 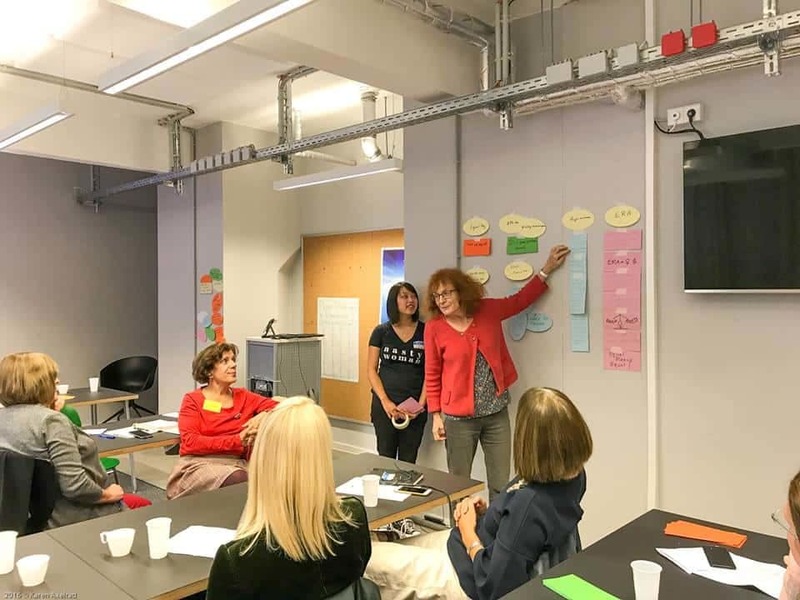 In 2018, Democrats Abroad unanimously passed a resolution calling upon the Democratic Party to support the ratification of the ERA. This has galvanized Americans abroad in support of the organization’s work toward gender equality. Members are reaching out to legislatures in the thirteen states that have yet to ratify the ERA, while advocating on social media and organizing live events worldwide. 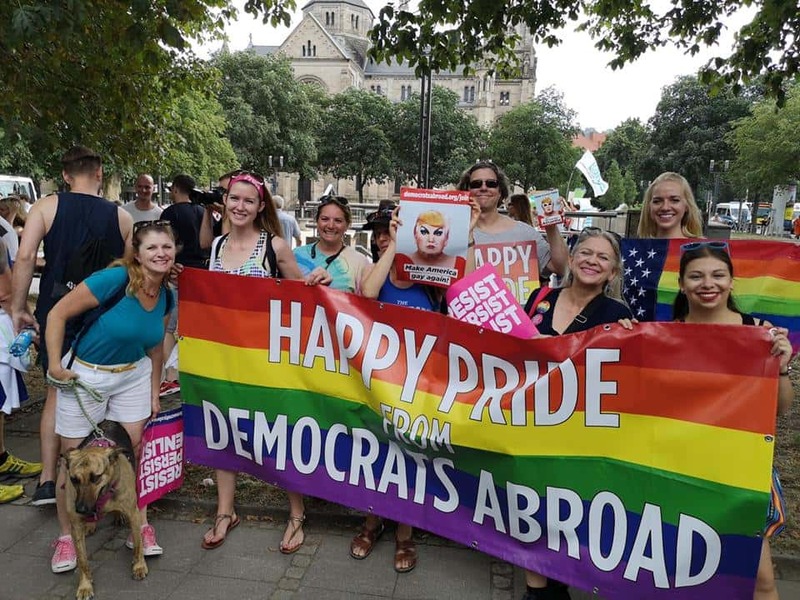 This past weekend, Democrats Abroad joined Women’s Marches and hosted events supporting the ERA in countries including Canada, Austria, France, Germany, Italy, Norway, Spain, the United Kingdom, China, Japan, Singapore and Thailand. Handwritten petitions are also being circulated among Americans in at least seven countries. Like all constitutional amendments, the ERA must be adopted by three-fourths of states in order to be ratified, a step that advocates have been fighting for since Congress proposed the ERA 47 years ago. This week, a GOP-led subcommittee in the Virginia House rejected the proposal that could have led to Virginia becoming that 38th state. While advocates hope it may be picked up in the full committee, this would most likely require significant public pressure. Today we march for Women’s Equality! Today we march in cities around the world, powered by a massive blue wave of hundreds of diverse new women legislators, thousands of GWC members, and tens of thousands of activist men and women who support our cause. Watch this short video with scenes from previous marches and be inspired! Sign up to be a member of our caucus and add your voice to our call to free both men and women from the constraints of the patriarchy that is holding all of us back. Together, we will move this world in a different direction! 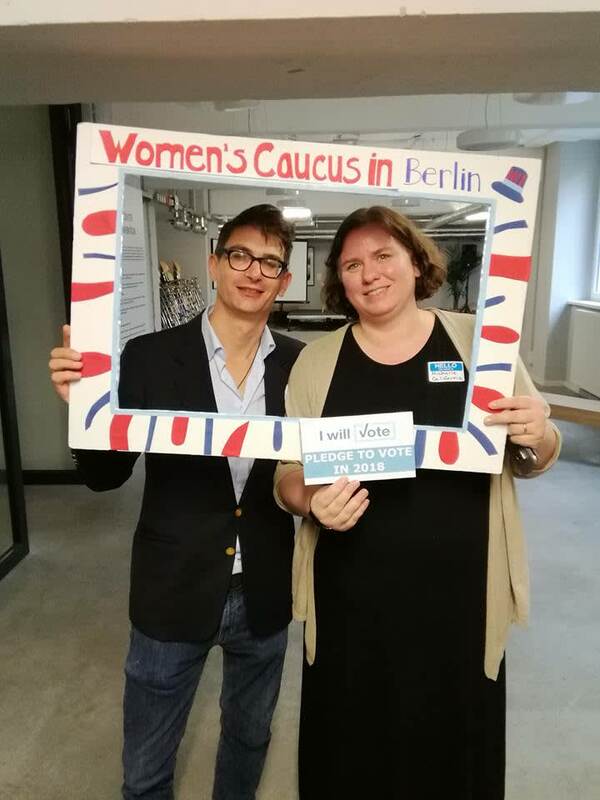 Since the 2016 presidential election, the Democrats Abroad Global Women’s Caucus and its members have marched in unison to support, protect and secure our rights as women. We will march in cities around the world again this weekend, independently and proudly, powered by the massive blue wave of hundreds of diverse new women legislators, thousands of GWC members, and tens of thousands of activist men and women who support our cause. It is important to state NOW and LOUDLY that we vigorously condemn all hate speech by any individuals or organizations for whatever reason and by whomever and wherever it may occur. Women’s rights are too important to be diverted by the actions, prejudices or ignorance of any individual leaders or participants in any movement. Please join us to this weekend in marches around the world! 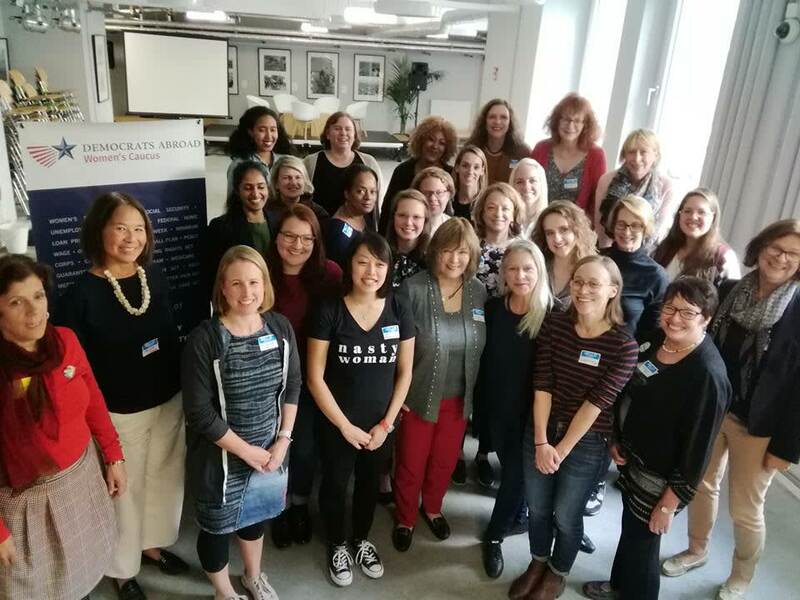 · We march in support of the Equal Rights Amendment to the US Constitution to secure for American women the same equality under the law that many women around the world already enjoy! · We march to maintain and advance our rights to health care! · We march to show the world that we must stop violence against us, stop inequality of pay and power and stop the infringement of our rights as equal human beings! Join us and add your voice to our call to free both men and women from the constraints and abuses of the patriarchy that are holding all of us back! Our DA Global Women’s caucus will focus on achieving this goal by working through our legal system to secure equality under the law. But you don’t have to wait for our January 19th world-wide marches to make your voice heard! You can do something TODAY to help fight back against the gradual erosion of our rights that we have seen over the last two years. 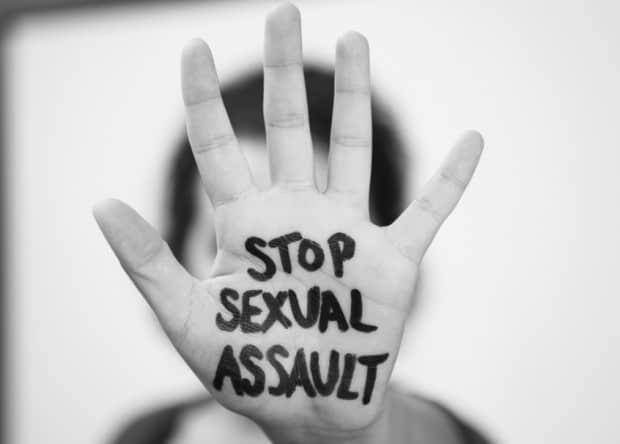 Help us to Stop Betsy De Vos from imposing terrible new rules for sexual assault survivors on US college campuses. You can read more about her proposal here. We are encouraging all our caucus members to be part of a National Women’s Law Center post card/letter-writing campaign to stop her, that ends January 28th. Please read more about it here. As we prepare ourselves to march in the streets on January 19th, we can a first step NOW! But we have only until January 28th to file comments. Your hand-written note can make a difference! MANON GARCIA SPEAKS ON WHY WOMEN VOTE FOR DONALD TRUMP: CONSENT AND SUBMISSION IN AMERICAN POLITICS. 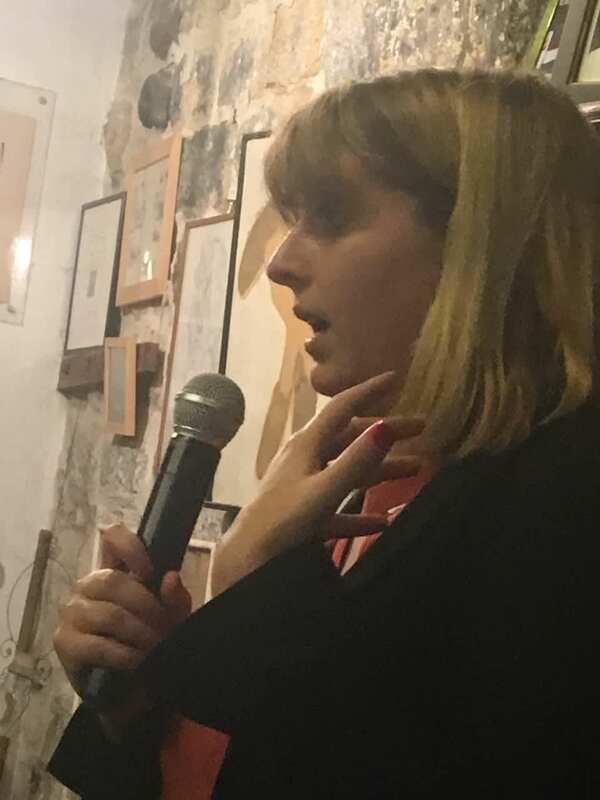 The DAF Women's Caucus invited MANON GARCIA, a young French philosopher, specialized in feminist philosophy, and Assistant Professor at The University of Chicago, and an activist as well. She writes about “consent and submission” and has a lot to say about our U.S. political scene: Trump, Kavanaugh, and machismo in general. She rocked the packed audience. Follow this link to hear the audio recording of this fascinating event! Each election brings women one step closer to equal political representation. Thank you to all female candidates who ran for office. We acknowledge all the effort it took to get your name on a ballot! We also congratulate the women within the Democratic Party who now represent us in government! 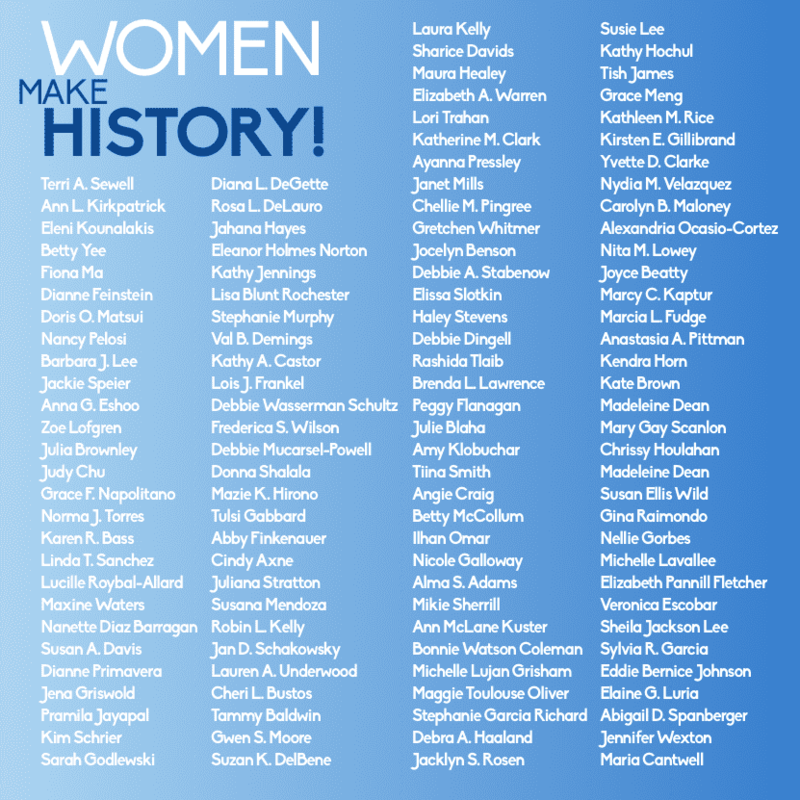 Here is a list of our 122 winning female candidates, and counting! A Feminist Blue Wave Crashes over Washington! Congratulations to our new women lawmakers! Hundreds of women are headed for Washington and state legislatures now. More women than ever before in history are taking power at every level of government throughout the United States of America! 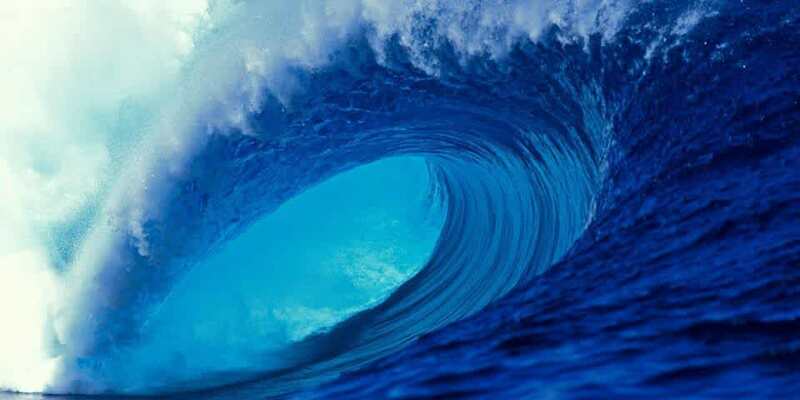 This feminist blue wave will transform the political landscape forever! Congratulation also to us! I wish to thank our thousands of Global Women’s Caucus members and hundreds of hard-working GWC leaders around the world for working to make this a reality! Thank you for your energy, ideas and dedication, and for helping to get out this crucial vote. This is your victory too! Savor it! We have worked hard and deserve to celebrate now, but we are far from finished! Support for our new women legislators cannot stop with ballots cast and elections won. In the coming days and months, let us all consider ways in which we can continue to support them as their constituents, as their sisters and as a caucus. I welcome your ideas! Washington D.C. is a battleground and our brave new army of smart, diverse, vibrant women lawmakers will need our back up every step of the way. We dare not abandon them on the front lines. Today, we celebrate! Tomorrow we continue our journey. But this time, with our own leaders at the helm and the wind at our backs we have a real chance to make our dreams a reality. Our time has come! The election on Tuesday is forecasted to likely see record numbers of women elected across the country, potentially surpassing the already record-high of 107 women in the current Congress. But with more women running – and winning – than ever before, even the most optimistic models show a Capitol only 23% female by this time next week. Historical and structural barriers help explain the basis of this imbalance, but there is still more to the story of why women have a harder time getting elected. Like most things, there is psychological work that can further help elucidate the continuation of this gendered inequality – with the caveat that much of the research (and somewhat consequently, this article), to its limitation, does tend to deal with gender in a mostly binary sense. Essentially, stereotyping works by assuming a social group has a core set of shared beliefs and character traits and depersonalizing an individual to view them as a member of their social group interchangeable from other members. Gender roles are stereotypes, but they are also norms. They go from the descriptive (“women are…”) to the injunctive (“women should be…”). Though they are not necessarily subscribed to or acted upon, people generally have a shared understanding of what they are. Because we often think and make decisions heuristically (by using rules of thumb rather than fully weighing each evaluation), these stereotyped female roles are drawn upon and reinforced. The tendency to categorize individuals into social groups (e.g. on the basis of gender) becomes particularly interesting when viewed within a social system (e.g. in US politics) in which status and power are not equally distributed between groups. Being a member of a social group which is the consistent minority – particularly one from which there is (generally) no leaving – has repercussions for conceptualizing identity. Shared cultural stereotypes are ubiquitous, but only at certain points do they get drawn upon and impact upon the ways in which people live their lives. Identity contingencies (something a person deals with because of a given social identity) affect members of minority groups by creating things they have to manage throughout the entirety of their lives – things that members of non-minority groups don’t have to consider. Female representatives working in a Congress which is 80% male often face a different set of rules which constrain behavior, requiring them to develop a set of strategies for dealing with scenarios – from unwarranted questions about their experience to unwanted sexual advances – that their male counterparts generally don’t have to face. Women running for office also face gendered prejudices based on cognitive incongruences between the perceived capabilities of their social group and the requirements of certain roles – meaning political leadership positions require certain abilities, these abilities don’t align with the stereotype of women, so therefore women in political leadership roles are more likely to be negatively evaluated. Eagly & Karau propose that a perceived mismatch between “female” and “leader” roles lead to two connected forms of prejudice: women are seen as less suitable for leadership than men, and “leadership behavior” is evaluated more negatively when it is performed by a woman. There can be a catch-22 for female politicians: leadership ability seems to be related to male traits, so female candidates aren’t evaluated as fitting the descriptive norm of a leader, and when they do achieve success they violate an injunctive norm by not embodying what we expect from women. We saw this play out in 2016 – in the pitch of her voice and in her signature pantsuit, Hillary Clinton consciously conformed to the pre-existing (and therefore, masculine) image of what a president “should” look like. No one questioned her qualifications for the role, but pundits and voters alike saw her as personally inauthentic and questioned the suitability of her character. This dichotomy can become cyclic in nature: women who want to lead might consciously downplay their feminine traits, and therefore reinforce the idea that “feminine” and “leader” identities are incongruent. And for those who attempt to hold both “female” and “leader” identities, there remains a stereotype threat: when there’s a negative stereotype associated with an individual’s identity, they will tend to underperform in a way that fulfils that negative stereotype. And none of these are issues that male politicians have to face. However, this disadvantage is dependent upon stereotypes of women, and perceptions of what leadership roles require – and both are things that we can change. If we want to change the parameters of what a “conventional politician” looks like, we can change the practice of reaching out exclusively to the “conventional voter” – and instead, expand the electorate. With Congress’ membership being only 20% female – and only 8% women of color – there is still a visible gender disparity in Washington. But, things are looking up. Last November, my home state of Virginia saw a record number of diverse candidates elected across the ballot throughout the state. The number of female candidates has risen enormously since the 2016 election and might increase still in upcoming cycles in fueled by the Kavanaugh nomination. And several women (Stacey Abrams, Kyrsten Sinema, Gina Ortiz Jones, Alexandria Ocasio-Cortez…) have made their difference from conventional “male” leadership prototypes central to their campaigns – and achieved notable success. “This election is the most important in our lifetime” has been over-stated by every quasi-political public figure and over-saturated social media timelines for good reason. It really looks like we’re on the precipice of change again, but it only comes if people get out of their homes (and off Twitter) and do the work to uphold the momentum and make it happen. Of the 238 women running for the House this cycle, 186 are Democrats. We’ve been the party to lead in consistently advancing the number of women in Washington, and on Tuesday we can continue the trend by electing Democrats across the ticket, throughout the country. Invest a few minutes to watch this extremely informative webinar on the ERA. Here is really everything you ever wanted to know about the Equal Rights Amendment, and why it is VITAL that we get this passed right away! Watch and be inspired! Revisited, Refocused, Revitalized and Re-empowered! I have a daughter. She is 20 and just about to enter the world as an adult. What kind of world will she be engaging in? America has a president who has bragged about sexual assault. Republican men are pushing to vote to approve a man to the Supreme Court without investigating the allegations of sexual assault against him. Why are they so adamantly supporting this man? So they can achieve their decades long push to finally rescind a woman’s right to control her own life. If there is one mistake we women, democrats, liberals, feminists have made, it is that we mistook winning a battle for winning the war. Sixty percent of Americans support a woman’s right to choose, so we thought the courts would never overturn it. If Kavanaugh is approved, Roe v Wade will be overturned. We railed at the states that systematically made it difficult to impossible to retain access to health clinics for health care and abortions, but we never believed it would pass beyond a state’s rights issue. If Kavanaugh is approved, Roe v Wade will be overturned. We didn’t understand that our fight needed to not only continue despite the gains we made in reproductive rights, it needed to expand. By the time Phyllis Schlafley stopped passage of the Equal Rights Amendment, women had already begun to reap the benefits of the battles they had won, so work to pass the ERA virtually stopped. Brett Kavanaugh has sided with corporations over regular people on environmental, consumer protection and financial reform issues. If Kavanaugh is approved, many advances we have made—better pay, access to health care, family leave—are at risk of being overturned. The republicans are hiding the advice Kavanaugh gave to the Bush administration on torture, spying on Americans, court nominees and lobbying. They are likely hiding the fact that the man supported the very policies that stained America’s reputation in the world. We don’t know what will happen with this nomination. But it isn’t lost on women across the nation that it is a woman who has stepped up to challenge the man who is likely to be the deciding vote on Roe v Wade. A record number of women are running for office. It isn’t lost on women across the nation that it is other women who are stepping up to challenge the policies that our male politicians have implemented. Again, it is women who will step up with new ideas to remedy the issues that not only affect them, but all Americans. Because the policies women are striving for—equal pay, justice, better schools, access to reach our potential as individuals—will benefit everyone, even those who are willing to make excuses for men who behave badly. There are many more battles to come. Unfortunately, we will be fighting some of the same battles we fought decades ago and though we had won. The only thing you need to do is vote. Vote for democrats. Vote for Democratic women. And encourage your friends and family to vote, too. And what can you do? Make a few calls! TODAY! 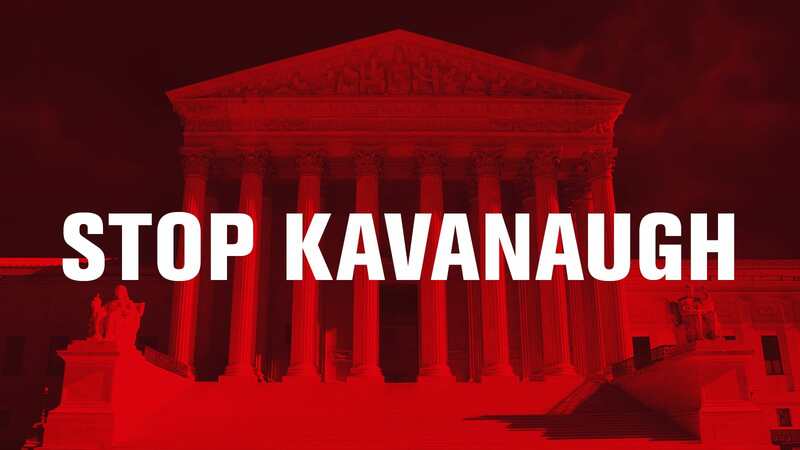 Demand the FBI investigate the accusations against Brett Kavanaugh and tell your Senators to vote NO on the SCOTUS nomination. This congressional race shows just how far women have come in recent years in seeking political office. Cathy McMorris Rodgers of Spokane has represented the 5th Congressional District of Washington State since 2005. In this strongly Republican slice of Eastern Washington (Trump won by 13 points), she has never had to worry about re-election. This assurance has allowed her to rise to the rank of the top woman Republican in the House and the fourth ranked Republican overall. But, this year, she is faced with tough competition from Democrat Lisa Brown. In an open primary, held August 7, 2018, McMorris Rodgers received 47.8% of the vote to Brown’s 46.8%. 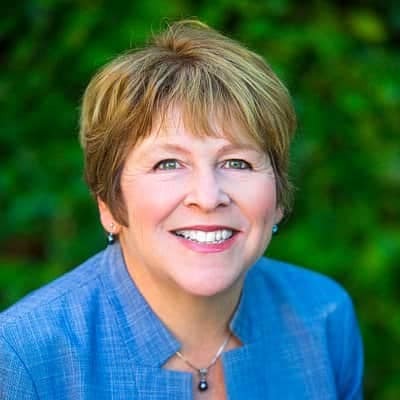 Brown has never held national elected office but is an economist, a Washington State University professor and was the State Senate Majority Leader. In the very rural 5th District, she is campaigning on a number of issues that appeal to farmers. One area of concern is the impact of the current administration policies on farmers. Tariffs are especially unpopular as is the administration’s withdrawal from multilateral trade agreements. Congress has also failed to pass a bipartisan farm bill. To compensate for the economic impact that all of these factors are having on farmers, the Department of Agriculture has proposed a short-term aid package. This is also unpopular with farmers because they prefer to have continued trade rather than a bailout. Due to both tariffs and weather conditions, farm income is projected to be the lowest in 12 years. To date, Brown has run her campaign on promoting better legislation for Congress to help farmers. She believes that Congress should encourage bipartisanship to maintain healthy trade relationships that have taken many years to develop. Although Trump has been instrumental in imposing tariffs that are ruinous for both farmers and manufacturers in Washington State, in reality, the Constitution defines the enactment of tariffs to be a role of Congress, not the executive branch. Brown seeks to return this role to Congress. Another important issue in Brown’s campaign is Congress’s many attempts to repeal Obamacare. This is especially significant in the rural area that she seeks to represent because many farmers, being self employed, cannot afford traditional medical insurance. In addition, the repeal of the Affordable Care Act is projected to cause many small, rural hospitals to have to close. This could be disastrous for rural areas that already tend to be under served by existing medical centers. Brown’s campaign focuses on fixing Obamacare and other factors that diminish medical care in rural areas. McMorris Rodgers, of course, supports the policies that are diminishing Trump’s popularity with the major base in her district—farmers. The record shows that she has backed his agenda 97.6 % of the time. Despite Trump’s growing unpopularity, McMorris Rodgers has the advantage in fund raising. She started with money left over from her 2016 campaign and has raised $3.7 million to Brown’s $2.2 million. Much of her war chest has been the result of Citizens United. Despite McMorris Rodgers’ obvious financial advantage, Brown is expected to stay in close competition if not to pull ahead as Election Day nears. Both are expected to focus on trade deals and tariffs because Washington is purported to be the most trade dependent state with 40% of jobs being dependent on trade. Because of her record of supporting Trump’s policies, voters may not trust McMorris Rodgers to take any effective action to bolster trade. This should give Lisa Brown a definite edge.